Today marks the start of a new blog on High School Football America. It’s called Kickin’ It with Parker Lewis of Saguaro High School in Scottsdale, Arizona. Kohl’s Professional Camps, which ranks kickers, punters, and long snappers, currently has Parker ranked as the No. 3 punter in the country from the Class of 2020. He’s the No. 4 ranked kicker. Because High School Football America likes to give its readers a first-hand perspective with our blogs (The Turnaround & A New Era), Parker will be blogging about what’s it’s like to be one of the best kickers in the country on one of the top teams in the nation. Saguaro is currently ranked No. 69 in the High School Football America Top 100 national rankings after winning the school’s fifth straight Arizona state championship earlier this month. 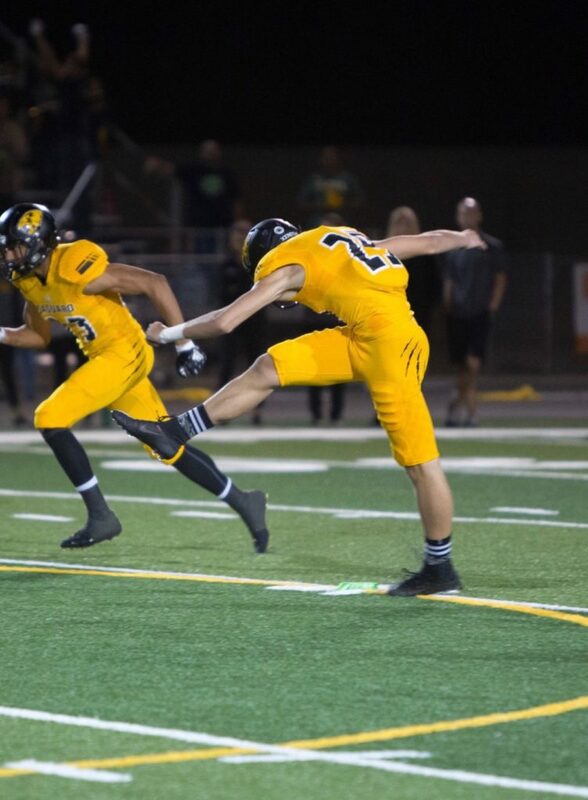 This past season as a sophomore, Lewis handled Saguaro’s kickoff duties while paying his dues behind senior Joseph Zepp handled field goals and extra points along with punting duties. What I like about having Parker blog for us is that it gives fans an inside look at a position that doesn’t necessarily garner a lot of the high school football spotlight. Back in 2012, we spotlighted Shane Tripucka, who then was a member of the Allen Eagles that won our mythical national championship between 2012 and 2014. Tripucka is wrapping-up a terrific career at Texas A&M that should lead him to a great shot at the NFL. Will Parker Lewis have the same type of career? You’ll be able to follow his progress right here on High School Football America with his first blog this week that will look at Parker’s performance at Kohl’s Los Angeles regional camp where he punched his ticket to next month’s Kohl’s Underclassman Challenge in Orlando, Florida.